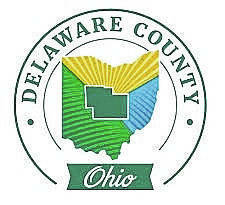 The judges of the Court of Common Pleas of Delaware County have appointed Kevin S. Daberkow, of Concord Township, to the Delaware County District Library Board of Trustees for an unexpired term, which runs through Dec. 31, 2019. Daberkow is a welcomed addition to the board, and the court thanks outgoing board member Denise Martin for her service. Daberkow is a teacher and an adjunct instructor, having taught grades K-12 for nearly 20 years, while also teaching evening classes at Ashland, Urbana and Ohio universities. Holding a Ph.D. in Educational Studies, Daberkow is uniquely qualified for this membership. He has written and analyzed the importance of funding quality education in Ohio. Daberkow also has a master’s degree in Business and Education, and a bachelor’s degree in Political Science. Having been honored by numerous organizations, Daberkow enjoys the designation as a Professional Fellow from Ashland University’s Schar College of Education, and membership in the Ohio Council of Teachers of Mathematics. He participates in the American Education Financial Association and the American Education Research Association, offering measurement of school efficiency and peer review services. “I am thankful and excited to join a very successful team,” said Daberow. The Delaware County District Library Board of Trustees is the governing body of the library, and it’s responsible for setting library policy, hiring and supervising the director and fiscal officer, approving the library’s budget and financial practices, and creating the library’s strategic plan.